The district enables Text to 9-1-1, allowing mobile devices to text 9-1-1 allowing citizens to reach 9-1-1 telecommunicators and first responders in situations where making a call could place the caller in danger and to allow the deaf and hard of hearing community additional ways to reach 9-1-1. The 9-1-1 District focuses completely on upgrading and administering the 9-1-1 system. Annual upgrades now include networking, routing, computing and server technologies to support Next Generation 911 (NG911) which will utilize the internet and fiber optics to enable 911 callers to provide more than just voice data to PSAPs. NG911 will allow for text messages, videos, telematics, and pictures to be delivered to dispatchers who in turn can share that information with units in the field. These 911 upgrades will pose funding challenges that require the district to direct its resources completely on the Traditional 911 System. Completed updating all addresses within the district’s jurisdiction to the new addressing standard, making all addresses more easily found and routed to by first responder’s. Smith County 911 operates as a “traditional district”. Ensuring that the 911 system kept up with technology (Cell Phones, Voice over Internet Protocol, TTY/TTD) and maintaining addressing for new development. In addition the 911 telephony equipment at each PSAP is replaced every 5 years to ensure seamless operation with technology improvements. 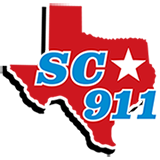 Enhanced 911 (E-911) systems were activated in Smith County. The first District in East Texas and the third such District in Texas. This system allowed callers to dial a single number, 9-1-1, and be immediately routed to their appropriate Public Safety Answering Point (PSAP) based on their location, and allowed for the PSAP’s to easily transfer calls to each other for support, fail over, and mutual assistance purposes. The District began the process of changing 35,000+ addresses from route and box system to house number and street style addressing for emergency location purposes. Utilizing remitted 911 surcharge funds, we designed and prepared 911 networks for deployment. Delivering 911 calls with Automatic Number Identification (ANI) and Automatic Location Information (ALI) to any Public Service Answering Point (PSAP) located in Smith County. Administration of 911 Database where caller’s phone and location information are stored retrieved for each 911 call. Administration of the 911 network and routing which deliver the call over the telephone to the appropriate PSAP. Before 1986, callers that needed to reach police, fire, EMS service, or other emergency services needed to know and dial 10-digit number to report emergencies to the appropriate agency. There were separate numbers for each agency, and these numbers varied depending on where you lived within the county. Address were also not standardized across the county, with some addresses being a house number and street name style, such as 1234 Main Street, and others being a route and box system, such as Route 7, box 2. This meant finding a location on a map and routing the fastest path there could be time consuming in situations where seconds mattered.